Disclosure: I received something of value from Olympia Entertainment. Read our full disclosure policy here. 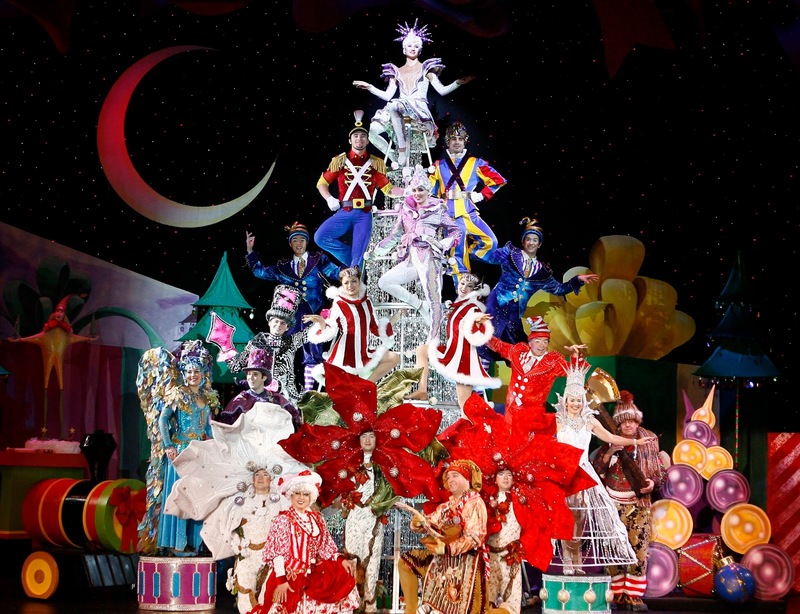 Cirque Dreams Holidaze lights up the 2014 holiday season when it returns to the Fox Theatre, after sold out performances in 2009, 2011 and 2013, to transform the stage into a wonderland of fantasy and disbelief Tuesday, December 16 through Saturday, December 20. Cirque Dreams, an American theatrical production company, brings its critically acclaimed entertainment brand to Detroit for seven glorious holiday performances as part of the Fifth Third Bank Theatre Series at the Fox Theatre. Tuesday, December 16 8 p.m.
Wednesday, December 17 8 p.m.
Thursday, December 18 8 p.m.
Friday, December 19 2 p.m. & 8 p.m.
Saturday, December 20 2 p.m. & 8 p.m.
Tickets (starting at $24) are on sale now and can be purchased at OlympiaEntertainment.com, The Fox Theatre, and Joe Louis Arena box offices, Hockeytown Authentics in Troy (without service charge) at all Ticketmaster locations and Ticketmaster.com. To charge tickets by phone, call (800) 745-3000. Groups of 10 or more receive a discount by calling 313-471-3099. For additional information, call (313) 471-6611. Broadway World calls Cirque Dreams Holidaze “The Perfect Holiday Gift…chock full of stupefying stunts that Cirque Dreams’ competitors aren't even attempting. This is a show that everyone will enjoy, children and adults alike. It’s colorful, festive, imaginative, inventive, and thoroughly entertaining. While they may not be as well-known as Cirque du Soleil or Ringling Bros, Cirque Dreams is certainly just as strong, and Holidaze rivals The Rockettes’ Radio City Christmas Spectacular in terms of production quality and entertainment value. Cirque Dreams Holidaze is offering one lucky Detroit star the chance to share their talent with Cirque Dreams and win a customized role as a featured performer in the Cirque Dreams Holidaze Christmas spectacular at the Fox Theatre December 16th-20th. Mom Among Chaos is giving away a family 4 pack of tickets to see Cirque Dreams Holidaze on Wednesday, December 17 at 8 p.m. Enter in the form below. Ends 12/10/14. Have you ever attended a show at the Fox Theater?